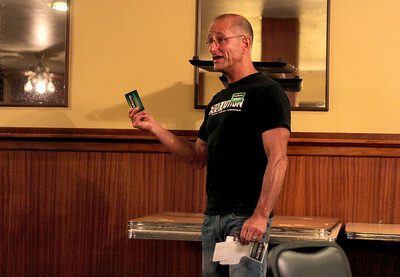 Sarah Nader - snader@shawmedia.com Len DiCicco, Founder and President of Revolution Ministries gave tours of the old Elks building in Woodstock during an open house on Thursday, June 14, 2012. Revolution Ministries hosted the open house to try to drum up support and funding from the community to create a local youth center at the old Elks building. The nonprofit need to raise about $75,000 to make the youth center a reality. 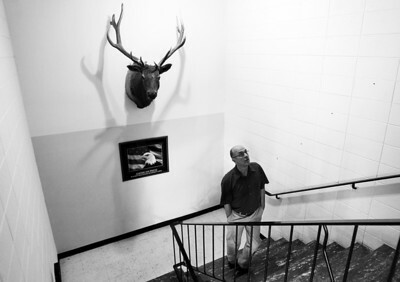 Sarah Nader - snader@shawmedia.com Paul Souchek of Woodstock tours the old Elks building on the Woodstock Square on Thursday, June 14, 2012. Revolution Ministries hosted the open house to try to drum up support and funding from the community to create a local youth center at the old Elks building. The nonprofit need to raise about $75,000 to make the youth center a reality. Sarah Nader - snader@shawmedia.com Scott Hopkins of Woodstock tours the old Elks building on the Woodstock Square on Thursday, June 14, 2012. Revolution Ministries hosted the open house to try to drum up support and funding from the community to create a local youth center at the old Elks building. The nonprofit need to raise about $75,000 to make the youth center a reality. 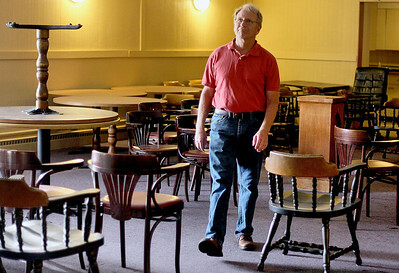 Paul Souchek of Woodstock tours the old Elks building on the Woodstock Square on Thursday, June 14, 2012. Revolution Ministries hosted the open house to try to drum up support and funding from the community to create a local youth center at the old Elks building. The nonprofit need to raise about $75,000 to make the youth center a reality.